So, over the next few days, I will talk about the products I use and that work for me. Some are inexpensive, some not.so.much! I'd love to hear what you've tried and you like as well. First stop - Hair. I have super fine, blonde, naturally curly hair (very curly hair). I have been straightening it for years and most people are shocked when they see it curly, which is rare, and usually only on a super hot summer day with 100% humidity. But, for those few curly days, I have always used a mousse. Bed Head is my favorite. Gels gunk up my hair and make it look like straw-hay. Bed Head keeps my curls taught and in tact, frizz-controlled and natural looking. It keeps all day! Some days, I just like to give my hair a break. After all, I straighten it at least four times per week, which is hard on it, and with chemicals and heat and product, it needs a good cleaning. So, I turn to Thymes Sweetleaf Baby Shampoo, not to mention it smells unbelievably good (I love all Thymes products, especially Kimono Rose, another post). It just feels clean and natural and resting. What do you expect, it's for a baby....technically! My daily shampoo is Philosophy. I currently have Cocount and Margherita (the stronger flavors are just a bit too much for me - the cakes and icings, yuck!) Since I have started using Philosopy, my hair has behaved better, looks and shines better and is fuller. My highlights also seem to last longer. Of course, the fact that I can use it as a shower gel is wonderful too! Now onto conditioners. I'm not a huge fan of them. I've tried every conditioner made on the planet, I promise. My hair is so fine and so blond that even the slightest bit of overload causes it to look oily and droopy. And on blond hair, oil shines ten-fold! But, without it, my hair is a complete "rat's nest." 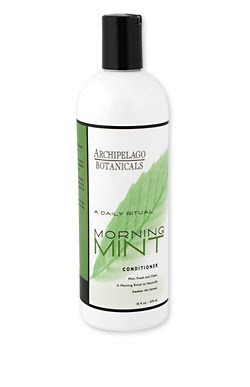 That is until I discovered organic Archipelago Botanicals Mint Conditoner. Now - this bottle will last me a year - I need to use VERY little as it goes a long way, but makes a huge difference in my hair. I can untangle it easily and my hair is not oily, shiny in the least bit and my hair remains full. The mint smell is a definate plus. My hair smells of mint all.day.long! Husband notices it in the evenings after an entire day. The mint also wakes me up in the mornings! There are those days when I need a little extra conditioning umph, such as traveling to cold weather or days when I want extremely straight hair, no full qualities. For such, I've turned to Paul Mitchell's Original Leave-In Conditioner. It has the same qualities as the Archipelago Botanicals conditioner, just without the smell and fullness qualities. 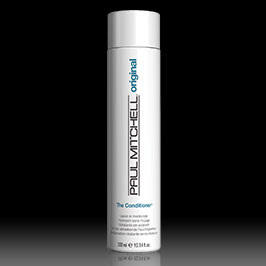 On a super humid day, I'll use the Botanicals conditioner and then smooth a little Paul Mitchell's The Creme in my hair. Just a dime size, if even that. 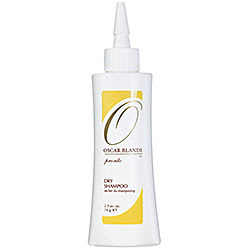 This helps the fly-aways and frizzes on humid days. It can also help with static on cold days. I actually stole this from my husband! Last but not least, dry shampoo. Oscar Blandi's Pronto is my choice. It doesn't leave a residue and removes the slightest bit of shine from my hair the second day after a washing. With fine hair, I can't wash every day or it will become super dry and break. But, without the daily washing, I get the shine like my hair hasn't been washed in days. Oscar Blandi has saved me from this dilemma. 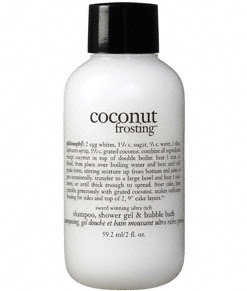 What are your favorite hair care products? Maybe I'll want to try! 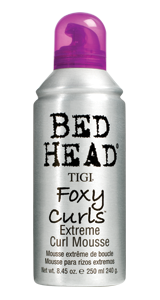 I love Tigi bedhead hairspray. I have superfine hair as well and this really helps me control fly aways. Great post! I love Paul Mitchell products and am a fan of the TIGI products too. love this post...thanks for the tips and choices. I am always on the lookout for new products, especially hair products. I use the Thyme's shampoo on Mini #2. They make fab lotion too. Hope your first day back has gone well. Happy New Year! Fun post! I love my philosophy products but I have yet to try the shower gels as shampoo. I just can't do it. Can't go wrong with Paul Mitchell products...tried & true! My newest guilty pleasure is my new shampoo. Wen by Chaz Dean. I love the stuff. I've been using it for about 2 weeks now and notice a huge difference in my hair. I need to try that dry shampoo. I, too, have fine hair and if I skip one day of shampooing I look like a grease pit (well, at least I feel like my hair feels that way). Some days, I just don't feel like shampooing, so that should do the trick! I am so sick of my hair issues and I am on a tight budget so this is an interesting post. I'm a big fan of dry shampoos and have tried about five different kinds. The best one I've found is the original by Batiste. You can get it at most drugstores and it's under $10!!! Hi - just found your blog and love it! I also have naturally curly, wavy hair which I painfully straighten! And I live in humidity - coastal AL - so I feel your pain. Try the "Heat Protective Silk Straightening Cream" by Kiehls. You won't believe how it works, seriously it's a miracle! Also, please check out my blog - http://shopaholicinalabama.blogspot.com/ - I have a LILLY PULITZER GIVEAWAY right now that I think you'll like! Deadline to enter is midnight tonight. I started using all Kerastase hair products last spring and it has done wonders! My hair is so much healthier. The products are pricey, but well worth it!